Going to do the same as my fan started to make strange sounds. 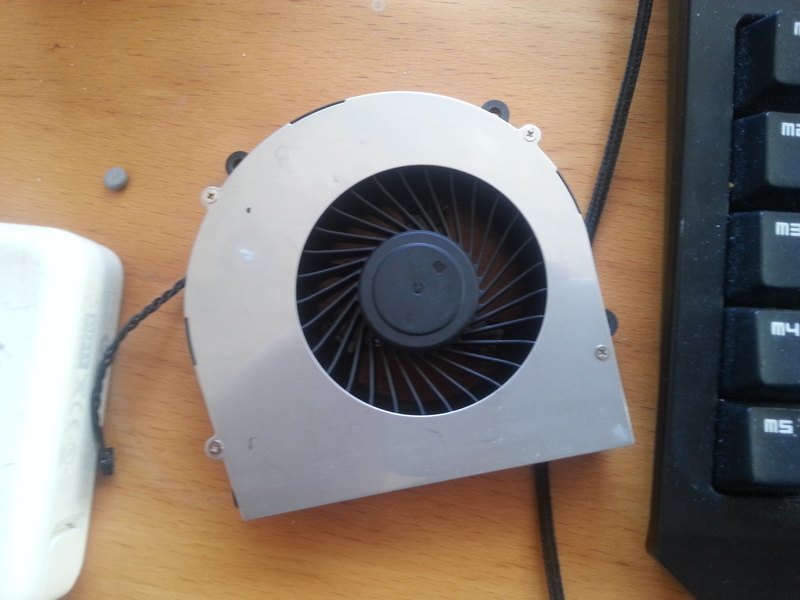 Keep in mind that a better fan can not make a difference if your heatsink fit is to bad. I went ahead and installed P870DM fan. 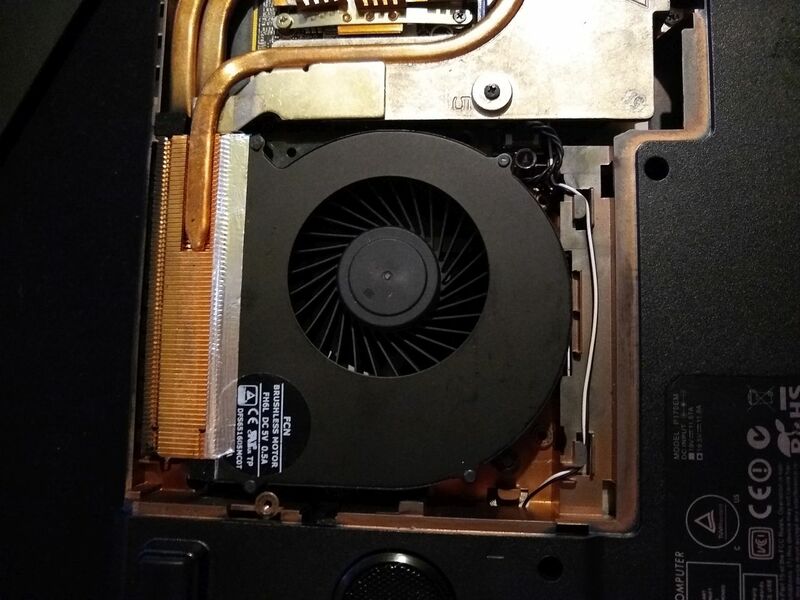 Had to grind it few mm shorter and taped it to heatsink with foil tape. I think it is safe to say my temperatures dropped at least 8 degrees! Noise level is about the same. 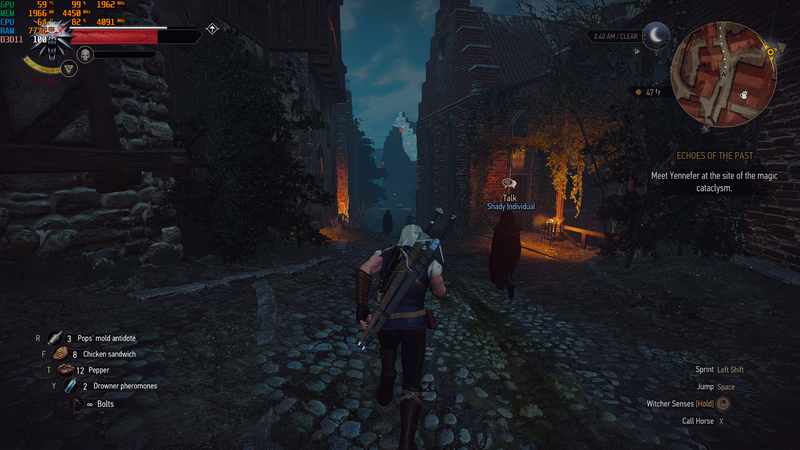 Now I wonder what can be done with slave GPU fan to make it perform more closer to master. Unigine Heaven loop max temps were 72C (master) 84C (slave). I follow, parcel on the way. A packet with fans arrived to me so I decided to do something with it. Only one fan left me and I decided to go a little different way. 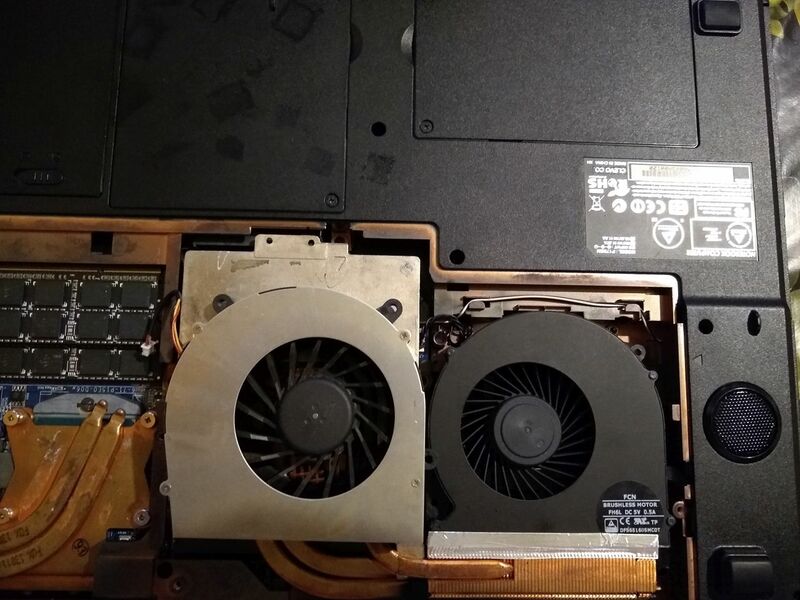 The fan housing from p870 has been modified, the air outlet has been shortened by about 2 millimeters to fit in original place. 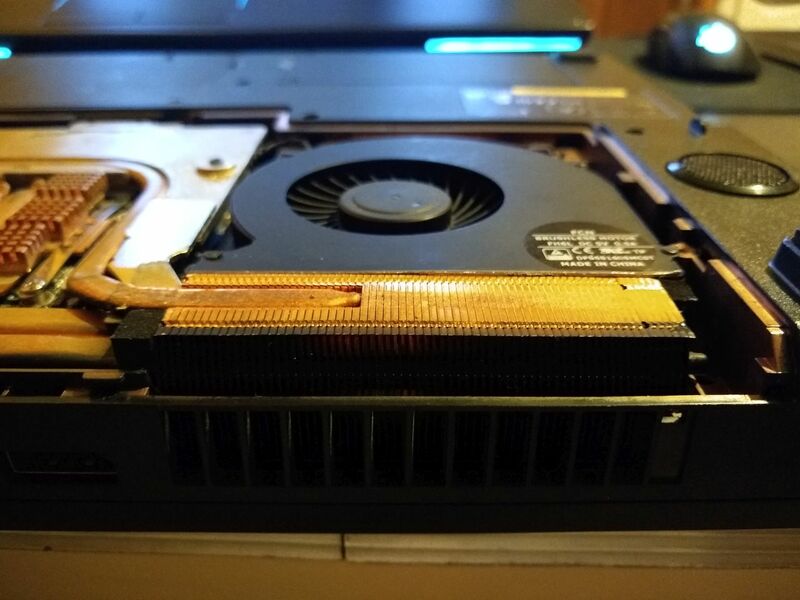 Unfortunately, I do not have enough time to perform a real comparison of temperature results in games using the original fan and the one from p870(for now). At the moment I tested only GTA5 where the card reaches 73 degrees (2260rpm). This is not an extraordinary result if we talk about temperature because with the original fan the temperature reached 75 degrees (I did not pay attention to rpm here). I will soon do more tests with temperatures(with rpms) in games. 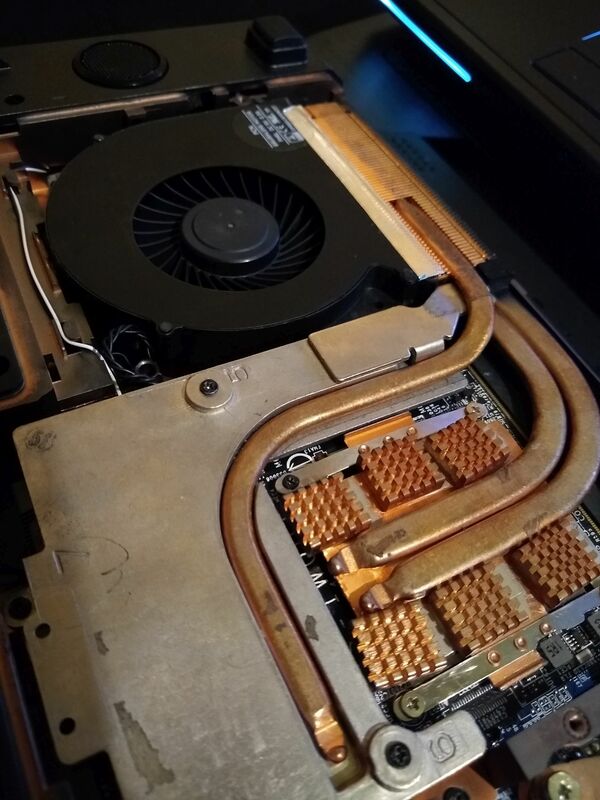 Using the copper RAM heatsinks is a terrible idea. Even if you use notepal. 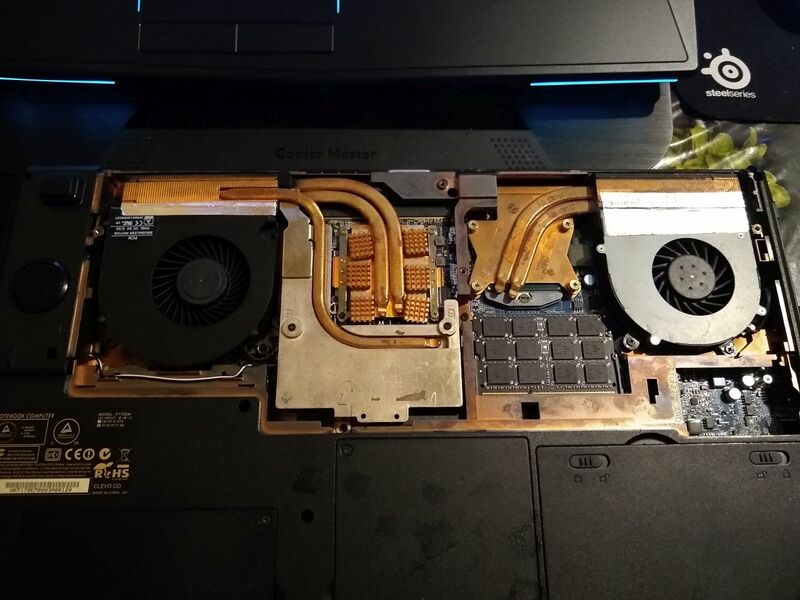 I tested this setup and all it does is delay the rising temps but causes extremely bad problems with cooling down as well, also makes an oven out of your notebook.